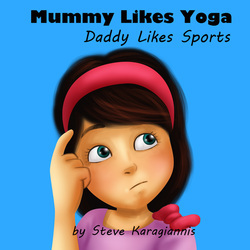 Mummy likes yoga and Japanese shrines. Daddy likes music and all types of sports. Find out in this lovely picture book for kids. It will put a smile on your child's face...and help you to discover what brings them joy and delight as they navigate through life. "This is a heart warming book inspiring young children to think what they like and appreciate the little things in life. Fun and simple read with your little ones, help them to develop a sense of appreciation for the things they do with their family."